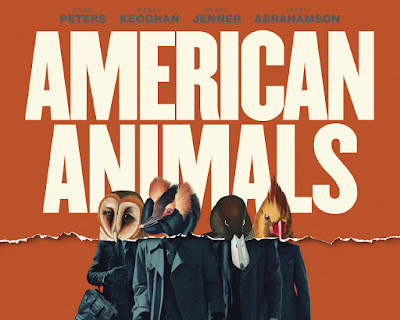 The film’s provenance is enhanced by regular appearances from the real people commenting on what they did and how they feel about it some fifteen years on. Layton, who wrote the screenplay also explores the way people remember clearly significant events differently with contradictory accounts of some details emerging. That they won’t get away with it is obvious but a coda offers their thoughts on how they feel about it now. A strong cast led by Evan Peters and Barry Keoghan further helps American Animals become a curiously intriguing film even if you’re tempted to look away at one or two uncomfortable moments. Definitely worth seeing. 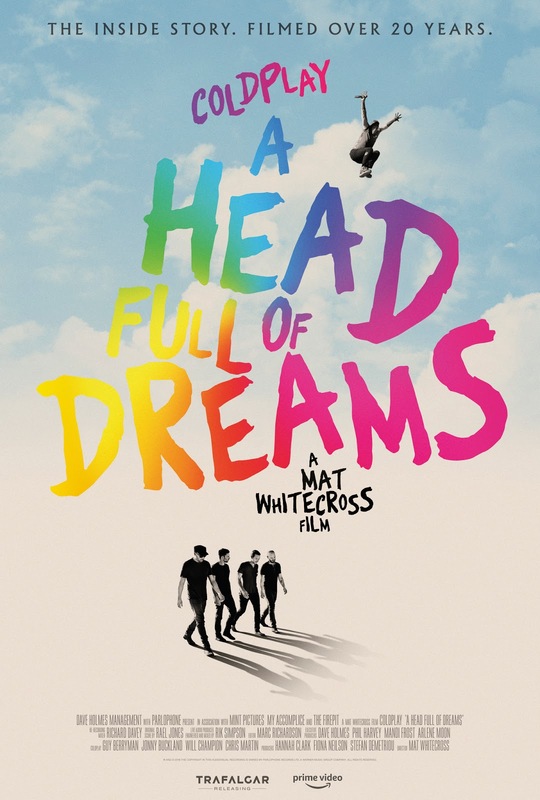 Coldplay appear to have enjoyed a seamless rise to the top and the twenty years in the making film A Headful of Dreams uses extensive behind the scenes footage shot by close friend Mat Whitecross to tell their story. In truth there is not a lot of drama in the tale – the occasional strop, the odd temporary walk out- and such an approved account is never going to rock the boat yet there is something fascinating about the way their music quickly fills larger and larger venues. The on stage footage seems to wrap the band up in warmth and colour- has a major group ever been so inaccurately named? It is harder to discern what message Coldplay might like to put across; lyrical preoccupations judging from the clips here seem to revolve more around decent rhymes than a message. Which is odd as some of the best Coldplay material does seem to be reaching - `Fix You` for example connects with so many yet how or why Chris Martin came to pen it remains untold. When he sings of “science and progress” in `The Scientist` what’s he on about? It is sometimes difficult to decide if Coldplay are simply entertainers or like U2 aspire to more. It’s a shame that this side of the band is overlooked- even their best album `Vida La Vida` focusses on Brian Eno’s involvement rather than how they came to write about the darker side of London. Nonetheless what the film does achieve is making you know what it would be like to be in a band as huge as Coldplay. The brilliantly shot onstage footage draws us in and projects the fervour of the audience out of any screen. Goodbye Christopher Robin examines how, traumatised after his experiences in the First World War, writer AA Milne retreats to the countryside with his wife and young child Christopher Robin. When the boy asks him to write a story for him about some of his toys Milne is inspired enough to publish what will become the world renowned Winnie the Pooh. As the book’s fame spreads so does that of the real Christopher Robin albeit to his detriment as he has to endure bullying and abuse even as he grows up. It’s a tricky story to tell but Simon Curtis’ film manages to evoke childhood adventures in a wild wood perfectly contrasting them with the coldness of the house. Several sequences play with visuals – in one stand out moment even the weather alters. It’s a slow film though and as written Milne is a difficult character to warm to though thanks to the skills of Domnhall Gleeson occasional chinks of light show. Some may find it’s rose tinted view of a different world too out of touch and there is a sense of another interesting story strand concerning Milne’s anti war stance being largely untold. Also I’m not sure the final resolution between father and son was ever as clear cut or healing as the film makes out. There is a modern resonance though if you consider that Christopher Robin was probably one of the first ever famous children and you can imagine that despite technological developments he wouldn’t have an easier time of it today. 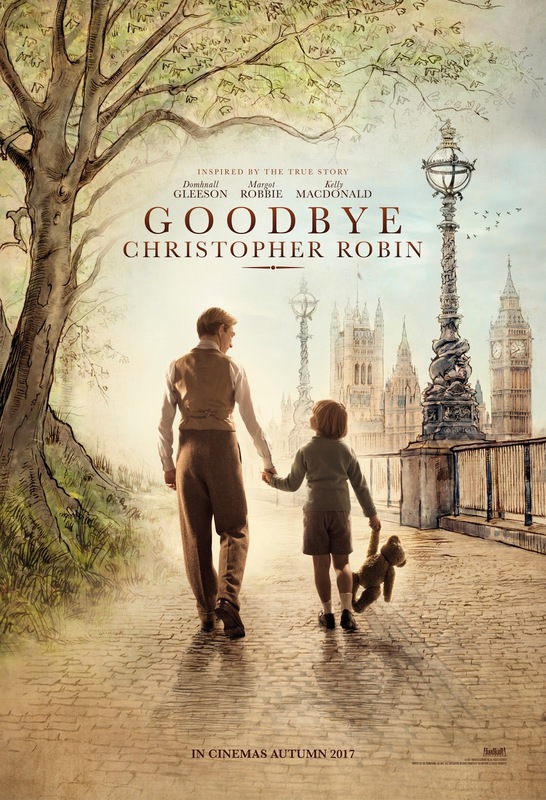 The film might have dug deeper into Milne’s own guilt over the way he allowed his son to become such a public figure but Goodbye Christopher Robin is a well -made, well- acted intriguing movie that shows both father and son’s perspectives well enough.